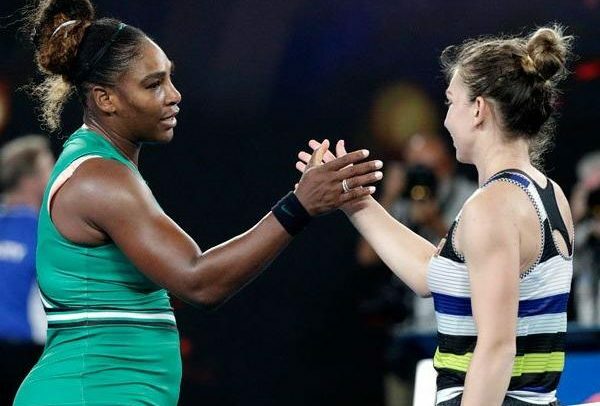 Serena Williams says she “did not choke” after missing four match points as Czech seventh seed Karolina Pliskova won the final six games to win a dramatic Australian Open quarter-final. “I took my chances,” said Pliskova who won on her third match point. “She was hitting lines and went crazy. She played unbelievable on match points,” Williams said. Williams’ inability to seal victory means a highly anticipated rematch of her controversial US Open final defeat by 21-year-old Osaka must wait. Like Osaka, Pliskova will be playing in the Australian Open semi-finals for the first time and is one victory from appearing in her second Grand Slam final, following defeat by Germany’s Angelique Kerber in the 2016 US Open. “I was almost in the locker room but now stand here as the winner,” she said. “My mind was in the locker room at 5-1 down but I was still here. I was too passive and mentally down but she got a little bit shaky. Former world number one Williams was considered the favourite to win the women’s singles, and a first major title since giving birth to her daughter in September 2017, despite not playing competitively since losing to Osaka in New York. An eighth triumph in Melbourne would have seen her move level with the 44-year-old major wins record set by Margaret Court – but she lost in remarkable circumstances next door to the stadium named after the Australian. After fighting back from an error-strewn first set to level, Williams manoeuvred herself into a winning position as Pliskova looked beaten in the decider. Then came a gripping finale which left Williams – and those watching on Laver – stunned. Holding match point at 5-1, Williams was called for a foot fault and then lost a rally with a forehand into the net. That was compounded by her appearing to turn her ankle in the process, with a double fault and unforced backhand error giving Pliskova the break – and a glimpse of hope. Pliskova seized that opportunity and the momentum which came with it, breaking to love for 5-4 and then holding serve, after saving three more match points, to level. Williams’ serve disintegrated as Pliskova, with the help of a double fault and then a rasping forehand winner for 0-40, broke to love again which left her serving for the match. Despite a minor blip as Williams saved two match points, Pliskova held her nerve to claim victory in two hours and 10 minutes. MyVueNews.com is a progressive media organization providing extensive news coverage on topics and issues that impact our daily lives in politics, economics and social activity. The site is also a channel for public discussion and social interaction and it provides opportunities for readers throughout the world to express their opinions, in a free, fair and balanced manner. As the name suggests, MyVueNews.com serves as the people’s forum, allowing everyone and anyone to express their views about any subject of importance to them.